A delightful snack or lunchbox idea which contains all the good stuff and a little bit of the sweet stuff! 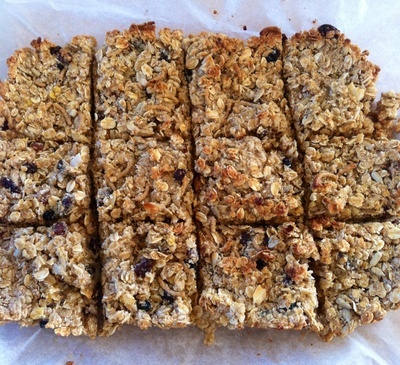 I have made muesli bars a few times and believe me you can't go wrong. All it takes is the right amount of dry ingredients and the right amount of wet or sticky ingredients to help bind your mixture together before you bake it. 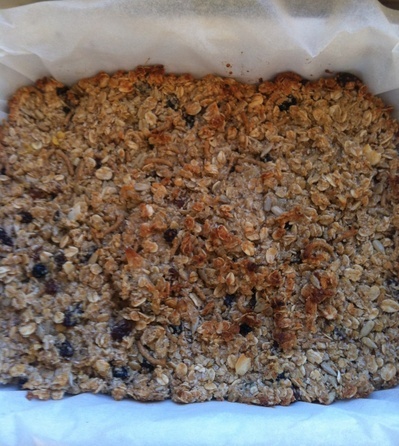 Homemade is so much better than shop bought because you know exactly what goes into the muesli bars. 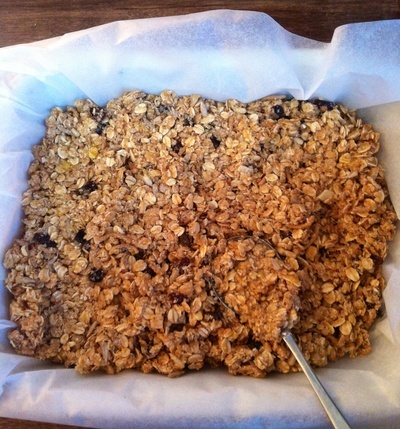 If you like fruit and nut muesli then the texture will be crunchy and sweet. Whereas if you prefer smooth muesli with finer porridge oats, then the texture will almost melt in your mouth, especially when you add the honey. 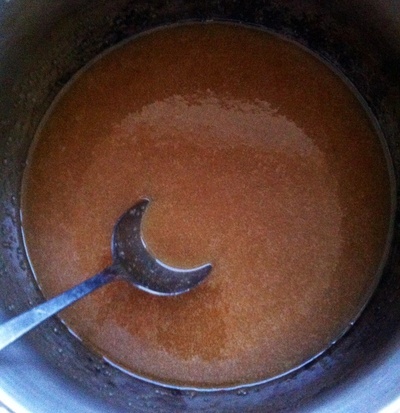 Honey, a natural sweetener and also an anti-bacterial agent, works wonders in this recipe. In other words, it is the king of this dish. A little while ago I visited a local 'honey hut' where they sold all different sorts of honey. I came home with vanilla honey, burnt fig honey and cinnamon honey. For this recipe I used the cinnamon honey mixed with yellow box honey I bought in Mudgee, NSW, from one of their local beehives. 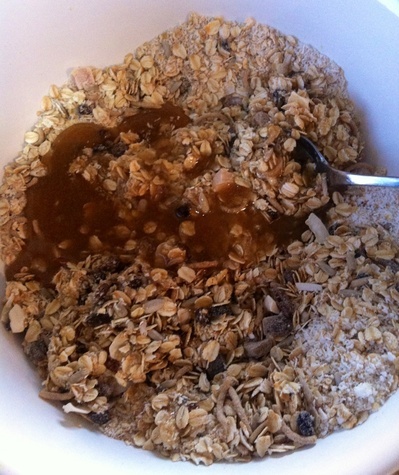 The honey will make this muesli beautifully chewy which is now I like my muesli. 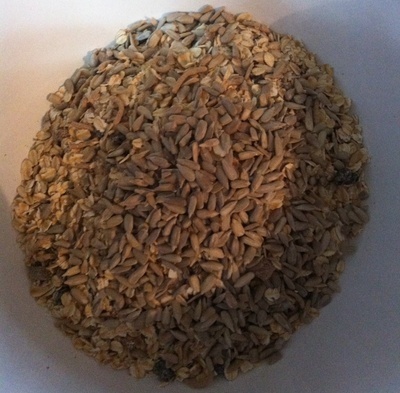 In a bowl combine muesli and sunflower seeds. 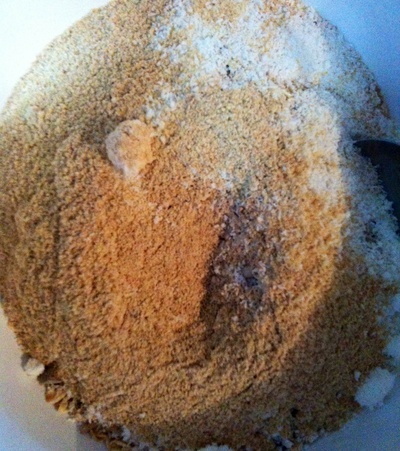 Add coconut and wheat germ. 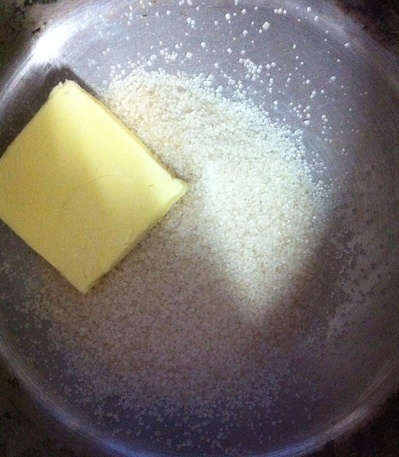 In a saucepan melt butter and raw sugar over low heat. Add honey and stir gently until melted. Leave the hot mixture to cool for a moment. Place the mixture on baking paper in a baking tray and flatten down slightly. Bake for 10-15 minutes or until slightly golden. When cool, place into the fridge for a couple of hours until the muesli sets. When cool, slice into squares and serve up. 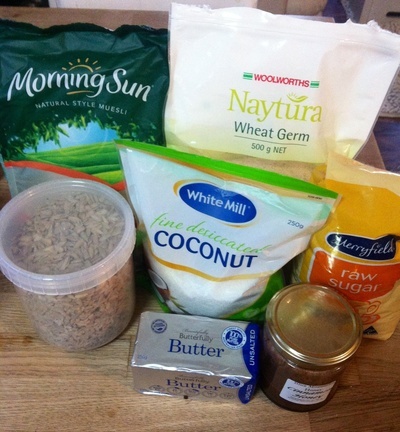 The muesli will keep in the fridge for over a week, so you can use it for school lunch boxes and snacks.